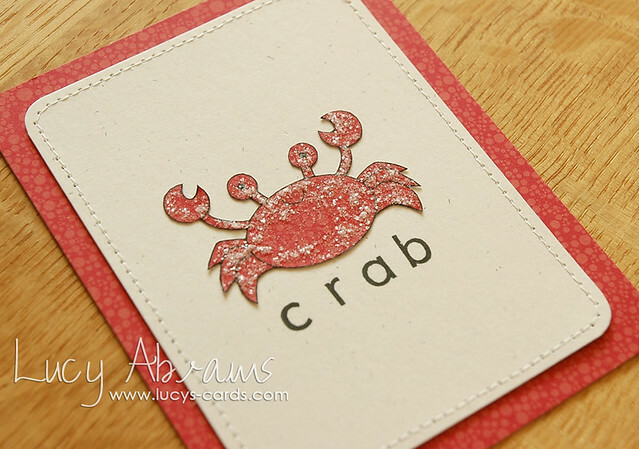 Lucy's Cards: Ocean Flash Cards! 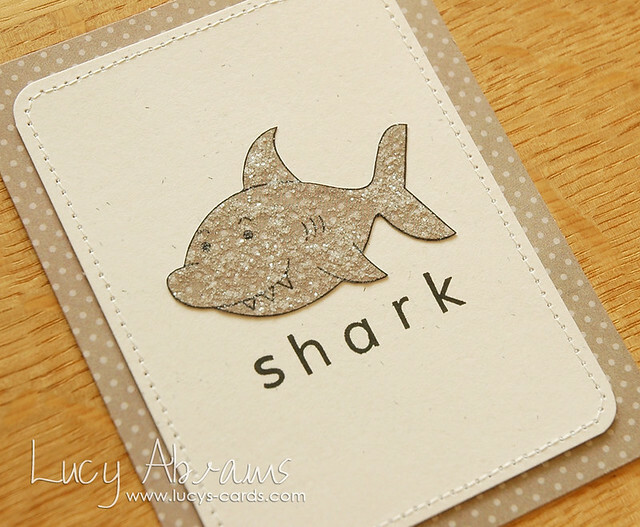 It's time for a new challenge over at Simon Says Stamp's Wednesday Challenge blog. The designer team are showcasing products from Clearly Besotted and Neat and Tangled. 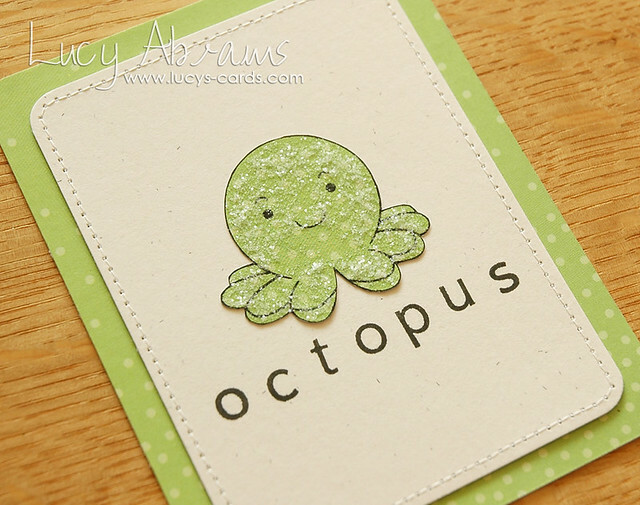 I chose to play with some fun Clearly Besotted stamps and created a set of flashcards for my little Lily. 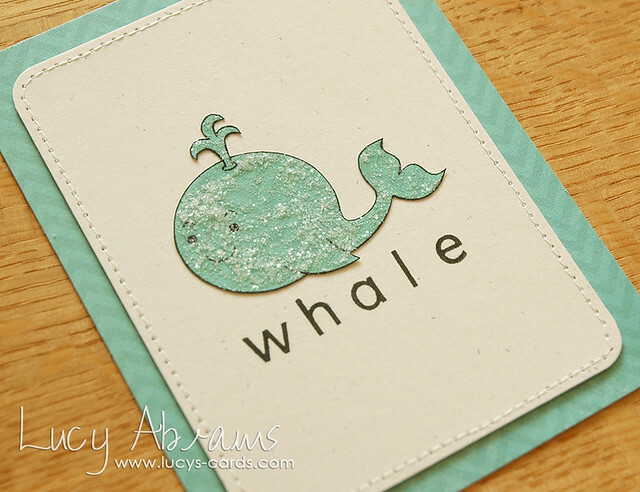 To create these cards, I stamped the creatures from Under the Sea on different patterned papers then covered them in Rock Candy Distress Stickles to give them a grainy sandy texture. Lily loves scratching them, and the glitter does not come off at all. Yay! The words were created with the Basic Alphabet stamps. OMG!! How stinkin' cute!! Handmade flash cards!! Love it!! And what a cutie in the photo!! 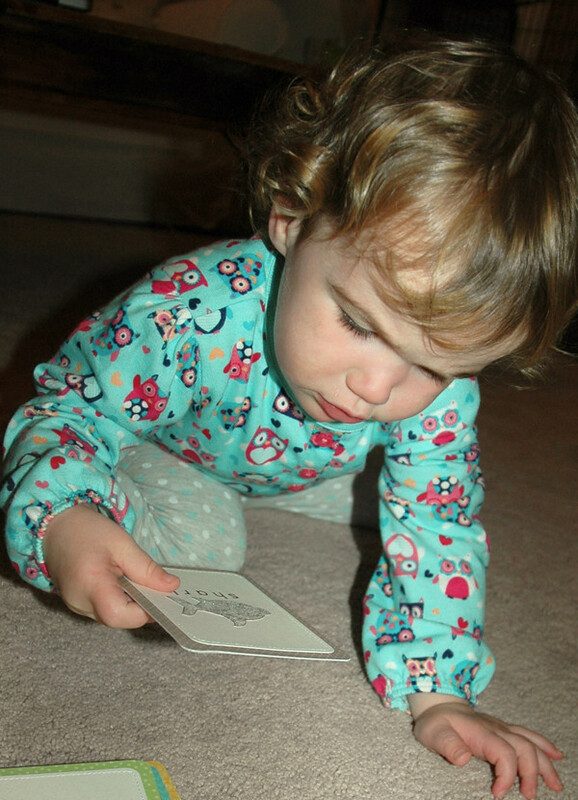 What a great idea to make flashcards, Lucy! And thanks for sharing the darling pic of Lily! 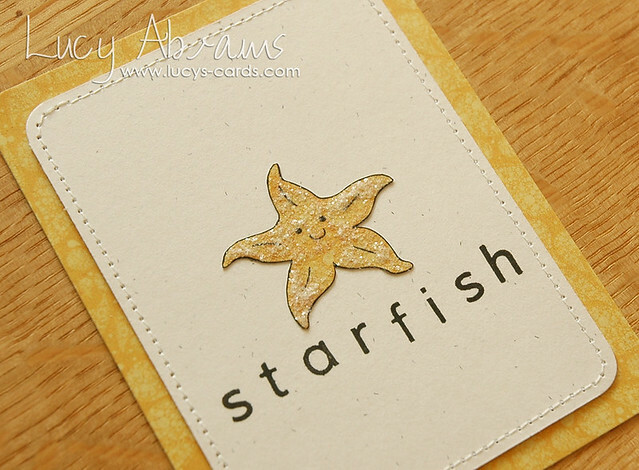 Just adorable Lucy, a fabulous design and colour scheme. Make a few more and Lily will have a game of SNAP with out!! Your flash cards are just perfect ! My little girl would love those too ! Gorgeous collection, Lucy! Love the touch of distress stickles! TOO Adorable...both the project and your little darling! 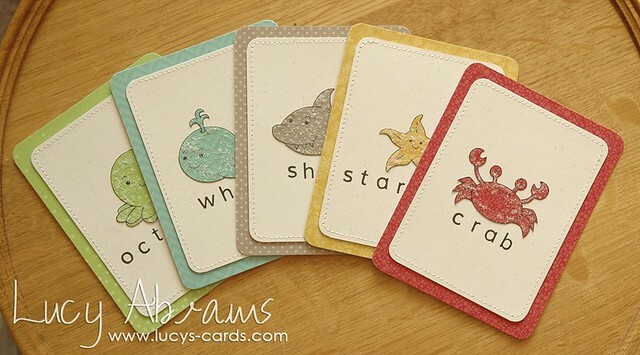 Love your adorable flash cards, what a clever idea. These are too adorable! What a fun way to learn. what really sweet cards for an equally sweet girl!